Documentary feature examines race, class and public education in New York City. My friend is working on a documentary feature that's winding down its fundraising campaign and could some help... 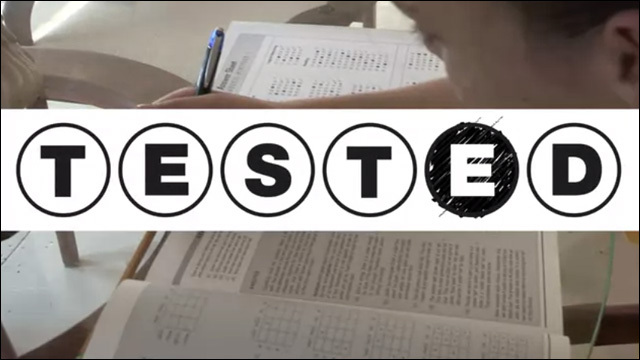 Tested, directed by Curtis Chin, follows a diverse group of 8th graders from throughout New York as they prepare for an-all important test that will get them into one of the city's few elite public schools. The problem is the racial make-up at these schools doesn't reflect the city. While blacks and Hispanics make up 70% of the city's school-aged population, they represent as little as 1% and 3% at these schools. Meanwhile, Asian Americans comprise as much as 72% and Whites 25%. This has led to the NAACP LDF charging racial discrimination and filing a legal complaint. Stuyvesant. Bronx Science. Brooklyn Tech: all nationally ranked public high schools considered among the best in New York City and the nation. Each year, thousands of 8th graders compete to secure coveted spots at these elite schools by taking the Specialized High Schools Admissions Test (the SHSAT). Admission is granted based solely on that single test score. Only one in five will get in. Accusations of racial discrimination have been leveled against this one-test-only policy, as black and Hispanic youth, comprising 70% of the city's total public school population, now represent only 5% of the student body at some of the specialized schools. Meanwhile, Asian Americans and whites form supermajorities. In September 2012, the NAACP Legal Defense Fund filed a complaint with the U.S. Department of Education, Office of Civil Rights to challenge this admission policy. Curtis was originally inspired by this New York Times article on Asian American students and the admissions test. He hopes his film will address issues of diversity, equality and equal access to high-quality public schools, while helping to dispel some of the stereotypes and myths we have. The goal is raise $20,000 by the end of this week, October 25, and as I write this, they're actually almost there. For further information about the film, and to make pledge to the project, head over to Kickstarter.